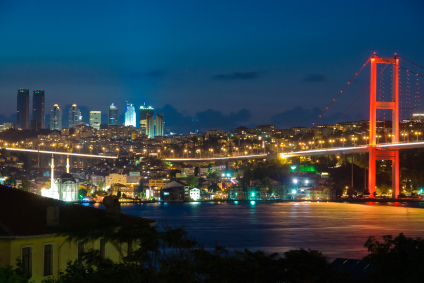 As you may know, there’s a lot going on in Turkey. Disgruntled civilians are protesting the politics of president Erdogan. Turkish police is tough on the protesters. Because of this, the situation in Istanbul is grim. Having just been in deep cover in Istanbul, TSS HQ has requested me to go back to Turkey, as my experience in Istanbul proved to be invaluable. This is however unrelated to this mission. Late last night I flew back, and now I finally have time to debrief you on mission Rid-E-Cool. As you have not been kept in the loop of my recent efforts (sorry, need to know basis), you may think that Mission Rid-E-Cool has ended. This is not the case. Of the 5 missiles, 1 missile was detonated, and 3 have been disarmed by your valiant efforts. This leaves one missile unaccounted for. As you can imagine, HQ was NOT happy with this result! „Robin Hood’s Arrow rides on all 4s.” It got us guessing for a long time. Finally, our decryption team came up with this most likely meaning; „Robin Hood’s arrow” is code for the last Rid-E-Cool missile. Missiles are often referred to as arrows. „Rides on all 4s” is probably code for the missile launch sequence. Did you get it right? Two informants shared separately that the elusive missile could be in Turkey… the city of Istanbul to be more precise. On this intel, TSS HQ decided to dispatch me to Turkey immediately. I went under cover as an international arms dealer, hoping to come into contact with the group who had stolen the missiles. We used several assets to give my cover the highest profile possible, driving a Lamborghini Gallardo LP 560-4 BiColore, an eating at some of the top restaurants in Turkey. It worked. They were searching for an arms dealer, and they found one... me! Unfortunately, the deal went sour. My cover remained intact, but they kidnapped me thinking that I would fetch a nice ransom. Of course, this was troublesome… I wasn’t really who I pretended to be. I had no hope that HQ would pay any ransom (don’t ask, they just don’t). Every day I talked to them, gaining their trust. As time progressed, they would become less alert to my efforts until, one day, I could disarm one of my captors. I bound him and searched him. I took his clothes, his wallet and ID. His ID, or the RF chip inside, was enough to get me out of the compound. As I was flying back, I looked into the wallet I took from the crook. I can't believe that I hadn’t looked inside before! The wallet contained a document with 2 number puzzles. The document simply didn’t look regular, and as I remembered that phrase, „Robin Hood’s Arrow rides on all 4s.”, I couldn’t help thinking that this may be the key to detonating the missile! Please help us detonate the Rid-e-Cool missile while it’s in their possession. This will most certainly make them do foolish things. All we need is a solution. Stand by for the document. TOP SECRET!